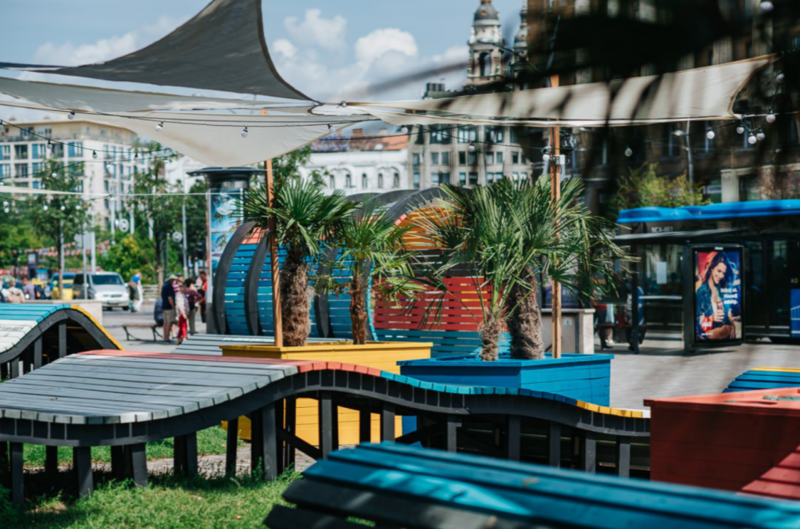 For the second time this year, the Budapest Municipality has opened a pop-up park near Deák Ferenc Square, index.hu reports. Situated in one of the busiest junctions behind the church and opposite Madách square, the venue is a lot like a festival space without stages or a hip outside bar. 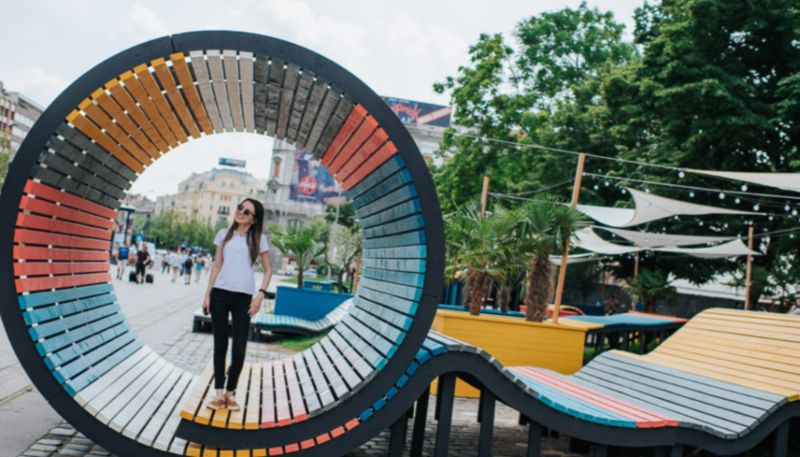 The park is equipped with free mobile phone charging docks, sports facilities (teqball, table tennis, street work-out equipment, chess tables), and if you get tired of working out, you can relax under palm trees on one of the stylish designer benches.